For over 35 years, Tanagra has been the Reference for Luxury Lifestyle Decorative Homepieces. Bringing the spirit of luxury to modern life by presenting the most prestigious lifestyle brands. Comprehensive in its offer yet discerning in its taste, Tanagra carefully composes an exclusive selection of the finest home accessories and gifts. From crystal to porcelain, silverware to jewellery, Tanagra always provides its guests the best in each category. Returning from holidays has never been so exciting with a train ride through Tanagra’s most coveted collections. 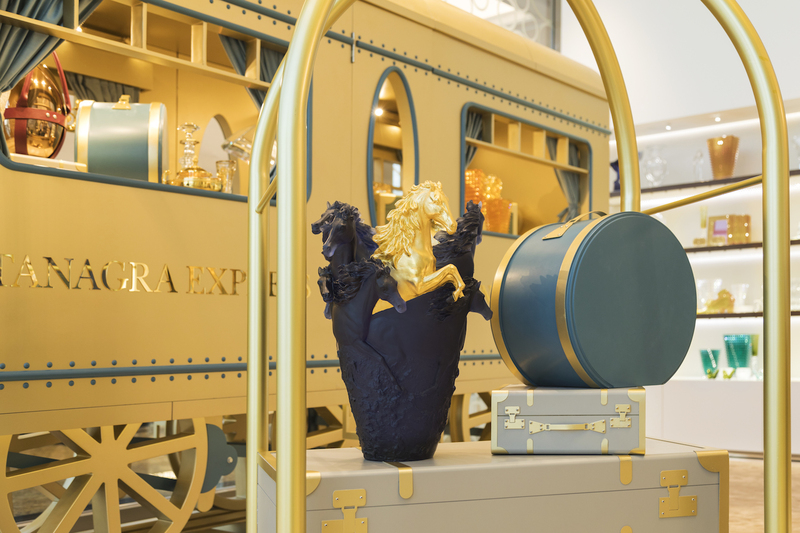 Tanagra will take you into the world of Tanagra Express through the store’s elegant windows, each with a beautifully curated display of high-end decorative objects, as well as, a carefully appointed selection of props. Designed to evoke the experience of the famous Orient Express carriage from the golden days of railway travel, each window makes your return home, after the long summer break, as exciting as ever. The journey continues through time; fascinating pieces and luxury collectibles from Tanagra enrich your life and living spaces to create the world that you always dreamt of. Time for a Tea Break! the train will stop for few minutes to enjoy Bernardaud’s In Bloom collection sets, ideal for sharing good moment with your travel companion. For your next voyage around the globe, Tumi and ST Dupont’s travel Accessories will be your best travel buddies that will allow you to be fashionably and safely equipped. Of course, these are just some of the many collectible pieces that the Tanagra Express will take you on your journey. Today, Tanagra is a regional network of 8 boutiques present in Kuwait, the United Arab Emirates, Bahrain, Qatar and Saudi Arabia.